– When the bag is lying flat the internal area of the bag measures 50cm x 35cm and has a 28 litre capacity which leaves plenty of room for dry clothes, towel, flip flops etc. 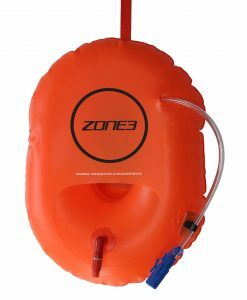 – This style of bag comes in a High Vis Orange and Pink option. 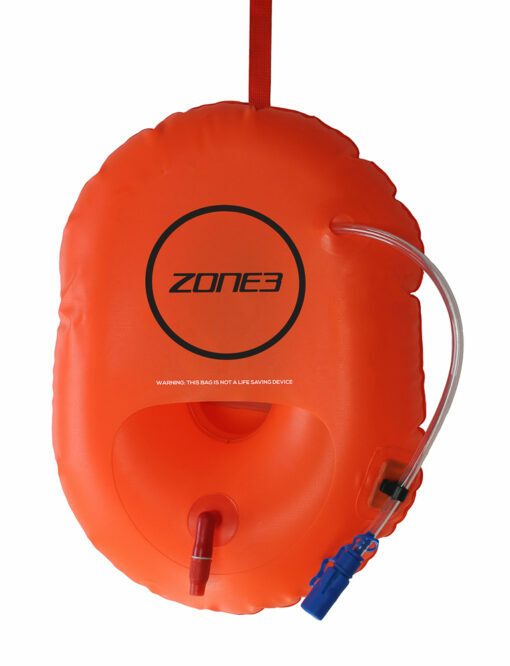 – There is also the Donut buoy option which allows access to key products during your swim as well as the Hydration buoy designed for a drinks bottle. 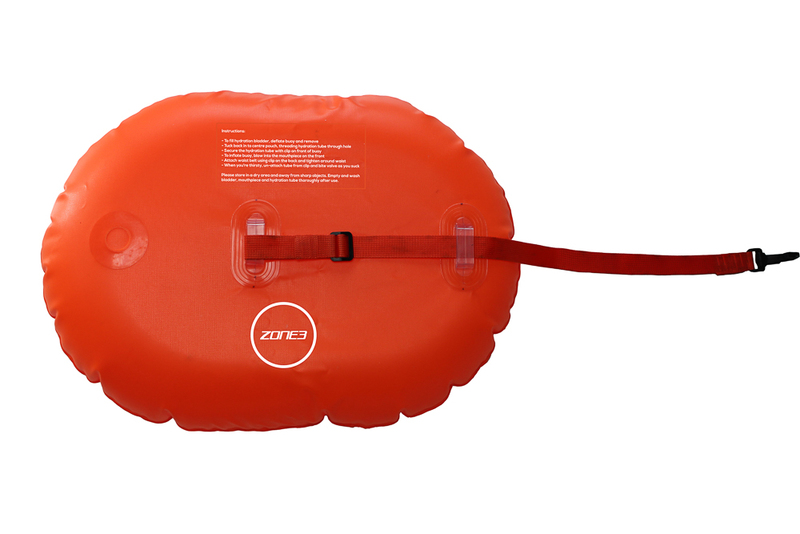 – Make sure the bag is fully deflated before use. – Fill the bag with your desired kit. – Roll over the top until you reach the ?Foldable Area?. – Fold over and clip together the two ends at the top. – Inflate using the mouth piece on each side. 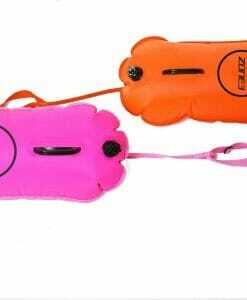 – Attach the leash to the clip at the top of the bag, threading it through itself. – Finally, attach the waistband.